At Karen P. Meyers, DDS., we have treated many children during the 30 plus years we have been practicing dentistry. Parents want to help their children develop healthy mouths and good dental habits. Routine preventive dental care at the office and at home is key. We welcome children as young as 3 years old to our practice. Routine dental checkups can make a tremendous impact on a child’s life. Good dental health during childhood can affect dental health into adulthood, and can certainly impact a child’s overall physical and emotional well being as they grow and develop. Primary and permanent teeth: Every child develops 20 primary teeth, usually by the age of 3. These teeth are gradually replaced by the age of 12-13 years with a full set of 28 permanent teeth, and by age 16-25 the third molars, “wisdom teeth,” form. Brushing properly is essential. We are happy to show you and your child how to brush properly. Even babies’ gums and teeth can be gently cleaned with special infant toothbrushes. Special toothpaste, or even plain water may be used so that fluoride isn’t swallowed. We do not recommend using fluoride toothpastes on children under the age of 2. Primary teeth can be cleansed with a child-sized, soft-bristled toothbrush. Remember to use small portions of toothpaste (a pea-sized portion is suitable), and teach your child to spit out, not swallow, the toothpaste when finished. Fluoride is present in most public drinking water systems, and in most toothpaste. In addition, we offer fluoride treatments as part of routine dental care for children. Proper use of fluoride has been shown to help strengthen children’s teeth and protect against decay. Toothaches are one of the most common dental concerns for children. They can be caused by erupting teeth, injuries, sinus problems, tooth decay/cavities or other serious problems. We recommend you contact us if your child complains of a toothache. Many dental injuries can be prevented by proper preparation and supervision. Children involved in physical activities and sports, should often wear gear to protect their mouths. Mouth guards and face masks that are properly fitted can save teeth, gums, lips and protect against jaw fractures. If your child is injured, call our office immediately. Some injuries are easily treated if dealt with quickly. Chipped or cracked teeth, for example, often benefit from immediate attention, and we can often help with pain management as well. Orthodontics is a separate specialty, but we are able to recommend appropriate timing for orthodontic consults. In addition, proper care and cleaning during orthodontics is essential to preventing discoloration of teeth and decay. Occasionally, retainers and braces can cause other dental problems, such as irritation, getting a small particle lodged in the braces or gums or ulceration. We are able to assist in relieving this kind of problem, don’t hesitate to call. Do not try to dislodge embedded objects from braces or gums on your own. This can be dangerous. Sealants are a very thin coating that is applied to the tooth. The coating fills in the tiny ridges on the chewing surface of the teeth. Sealants protect and seal the tooth against food and plaque. Sealants are painless to apply, the procedure is simple, and the results may protect teeth from decay for several years. 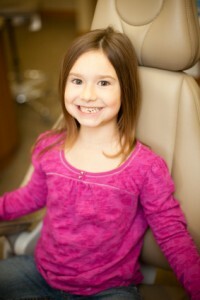 Many insurances cover sealant applications on teeth for children.